This restaurant is permanently closed. Nefiis means "yummy" in Turkish and describes the menu served at this quaint and romantic little Mediterranean bistro in Midtown West, NYC. Location is ideal for theater crowd and tourists. 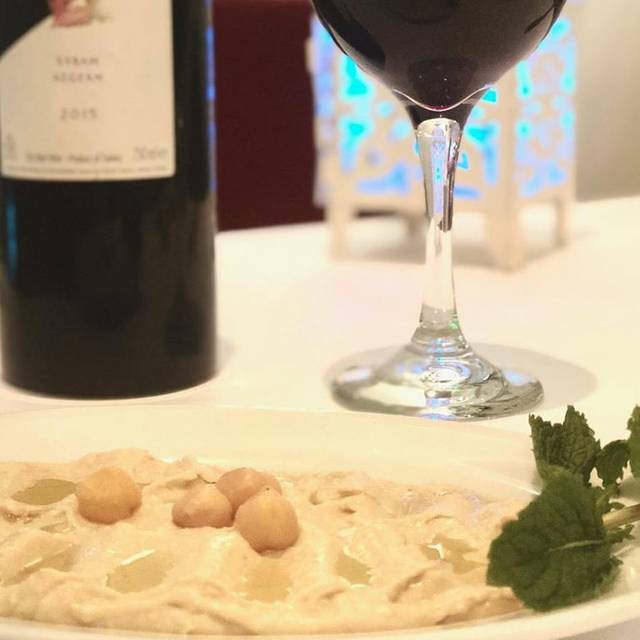 Whether you are on your own and are looking for a quick bite, or you want to spend time with your sweetheart or friends, you will have a great time at Nefiis. 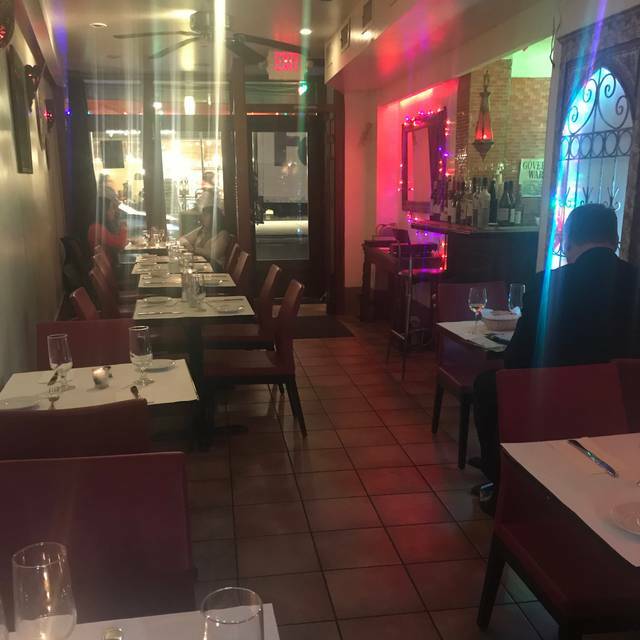 The menu is healthy and hearty, with a lot of Turkish and Eastern Mediterranean delicacies. 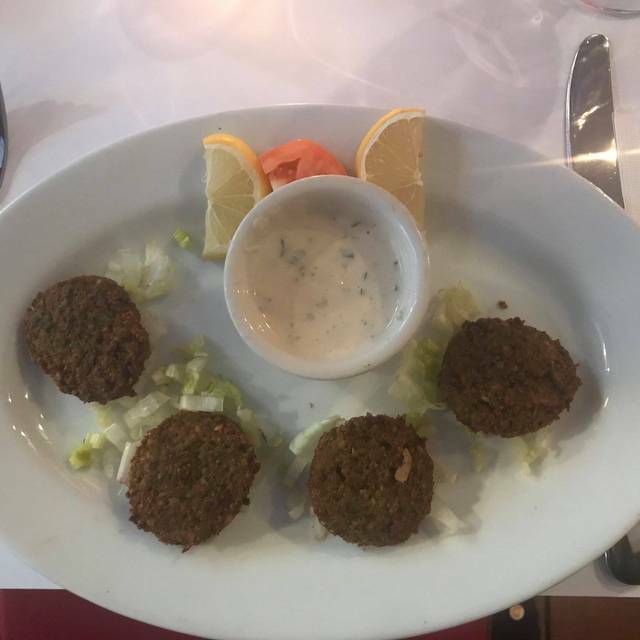 You can start your dinner with falafel, shepherd salad, tabbouleh, hummus, babaghannoush, or other appetizers and then for the main course choose one from the kebabs such as chicken shish, doner (gyro) kebab, lamb shish kebab, bronzino and salmon among others. Nefiis is a small venue, although, we have hosted many small and medium sized private parties. Our location is ideal for groups due to our strategic location to the mass transit and cultural venues in the heart of the City. The diversity of the menu will please guests with all taste buds and special requirements. We have a lot of options for vegans, vegetarians, carnivores and gluten-free lovers. Nefiis has a staff with many years of experience in the corporate and residential catering business. The richness of the menu makes it available to create a colorful and delicious presentation. Chafing dishes and stereos, silverware and plates are also available to be ordered for finer catering orders. Service was great. They had also buffet but we ordered from the menu. The food was excellent. We highly recommend the lamb dishes. The waiter was charming and efficient, and the chef greeted us during our meal. The location is very convenient to the theatre district. We will return. Best Doner ever... Even in Turkey I had not eaten a doner like in Nefiis. So delicious. The service was very attentive and friendly. Nice little cute and lovely spot with a full bar.